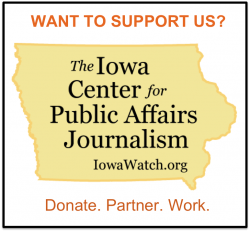 The Iowa Center for Public Affairs Journalism—IowaWatch has received two major grants for operating expenses in 2015, including a $75,000 renewal grant from the Ethics and Excellence in Journalism Foundation. 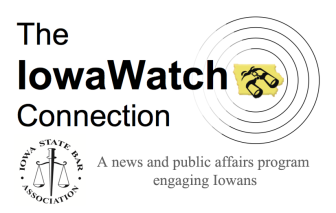 Terms for that grant call for awarding $50,000 outright at the end of February and the remaining $25,000 as a match to new revenue IowaWatch is challenged to raise by the end of January 2016. The match would bring the Oklahoma City, OK-based Ethics and Excellence in Journalism Foundation’s total contributions to the Iowa-based non-profit news organization to $375,000 since October 2011. IowaWatch also has received a $10,000 grant from The Gazette and KCRG-TV9 for 2015 operating expenses. This marks the third year the multimedia company based in Cedar Rapids, IA, has given IowaWatch financial support. “Continued support from the Ethics and Excellence in Journalism Foundation is a tribute to IowaWatch’s commitment to quality investigative journalism,” Erin Jordan, president of the Iowa Center for Public Affairs Journalism board of directors, said. IowaWatch provided 74 newspapers, web-based news organizations, radio stations and television stations 35 news stories to republish or air in 2014. This resulted in 733 publications or airings of those stories during the year. Most of the stories were written by student journalists on several Iowa college campuses, assisted by IowaWatch’s professional staff: Muller, reporter/digital analyst Lauren Mills and IowaWatch Connection radio show host and producer Jeff Stein. The Iowa Center for Public Affairs Journalism—IowaWatch, a 501(c)(3) nonprofit, nonpartisan news organization that does investigative and public affairs journalism; makes that journalism available free on its website, IowaWatch.org, and through media partners; and trains college students to do this journalism at an ethical, high level.